When you’re buying sliding wardrobe doors, your priorities will no doubt include getting the best quality craftsmanship from a reputable and experienced company, which offers a reliable service. All at an affordable price. Not only does Superglide tick all of these boxes, we also offer you the convenience and time-saving benefit of being able to complete most purchases online. These are not mass produced items created in factories overseas. At our manufacturing hub in the heart of the Cotswolds, we use craftsman skills and engineering excellence to produce items for homeowners, hotels and builders from across the UK. We are a sliding wardrobe company that cares about customer satisfaction above all else. The reason Superglide is able to keep prices competitive – but maintain high-quality standards – is because we have been making sliding wardrobe doors since 1982. This means we have a wealth of experience in sourcing and working with the best materials. Crafting sliding wardrobe doors has been our main focus since our founder Adrian Collins “set up shop”. His son David now carries on the tradition of offering a specialist and highly responsive service. The big difference these days though is that Superglide’s products – including made to measure sliding doors – can all be bought with a handy, foolproof online service. The website and gallery provide images for ideas and inspiration, and help in measuring your dimensions. Superglide also has a great showroom you can visit to actually see and feel the workmanship if you prefer. Visits are by appointment, so that we can make sure someone is available to show you around, as the Superglide team are always busy making our superb products! Our hinge door options are not featured on the website, but if you can get to the Superglide showroom in Coleshill, on the border of Wiltshire and Oxfordshire, we would be delighted to show you the range. Or give us a call if sliding doors are not the only option you are considering. Remember, Superglide make wardrobe doors to match specific needs, room dimensions and design ideas – there is nothing mass produced from this British family firm. You get what you want. 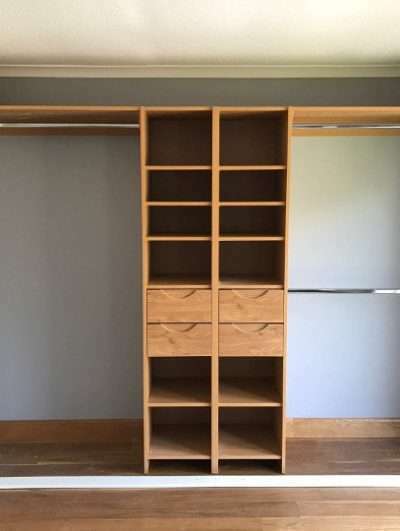 The website shows you examples of the craftsman-made bedroom furniture range we also offer that perfectly complements wardrobe designs and colours. These invaluable extras have been created to the same high standards as our sliding wardrobe doors. They too can be commissioned at highly reasonable prices, to match your bespoke sliding wardrobe doors. This website gives you an overview of some of the colours, finishes and styles available if you want to commission sliding wardrobe doors made to measure. Every item is then manufactured to fit exactly what you need, including making the best possible use of the space within your wardrobe. Your sliding doors should enhance the functionality of the wardrobe, as well as looking good. If you do need help getting specific measurements together, don’t hesitate to give us a call as we would be delighted to help. In fact, Superglide can work with you on all aspects of your wardrobe design, including the interior aspects and any special features. The service also includes products and expertise to focus on how the sliding wardrobe doors will be framed and any side panels you may need. Plus, Superglide can help with adding those special finishing touches, such as mirrors and storage bars. Draw box accessories are also on offer as part of a popular interior range that makes sure that no design detail is overlooked. 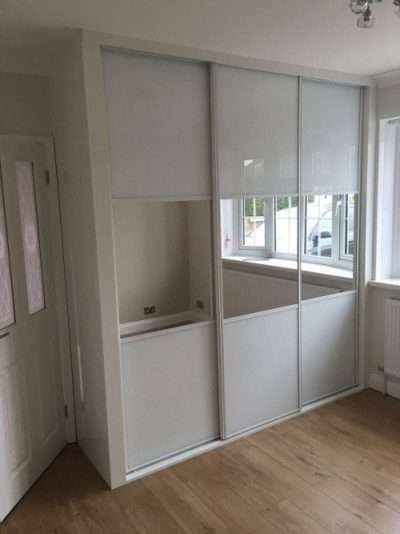 We even offer front frame packs, for if you want your wardrobe doors to slide smoothly, and look built-in, unhindered by obstacles such as skirting boards, coving and other wall protrusions. 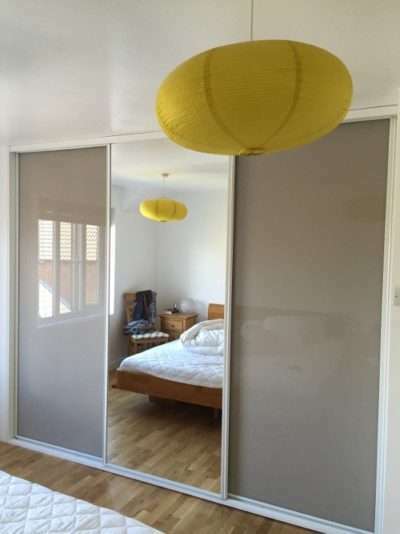 Our made to measure sliding wardrobe doors have even been created to overcome chimney breasts and angled ceiling. Nothing is too much trouble. We love a challenge at Superglide. 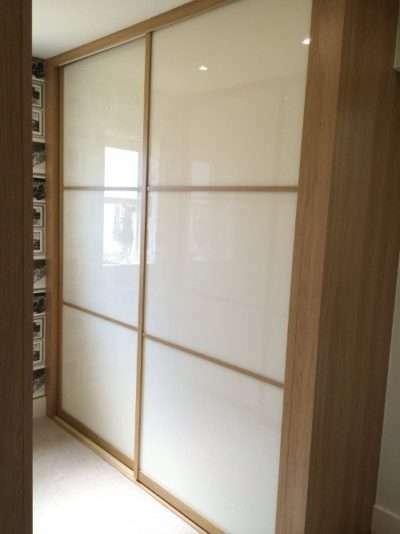 Our website makes the whole process of designing and building wardrobes with sliding doors as simple as possible. This LINK takes you to a measuring guide video, though we are happy to talk to you in person too! To chat about all the things you want and need from your sliding wardrobe doors – and any matching furniture required – then contact our friendly team for advice and guidance by ringing 01793 861 584 or email us on sales@superglidewardrobes.co.uk .